Honey-Can-Do SFT-02063 Dinnerware Storage Box, Natural/Brown. Store up to 12 standard-sized dinner plates in this 12x12 inch storage box. The clear view window lets you easily see the contents while the lift off lid simplifies access. Protective inserts help safeguard against chips or scratches. Remove the dinnerware inserts and this storage box turns into a great closet organization tool. Store scarves, ties, socks, gloves, or hats. In classic off-white with brown accents, this stackable storage box will instantly upgrade any pantry or closet. Made of polyester and cotton canvas. GRIZZLY 149 Gal. 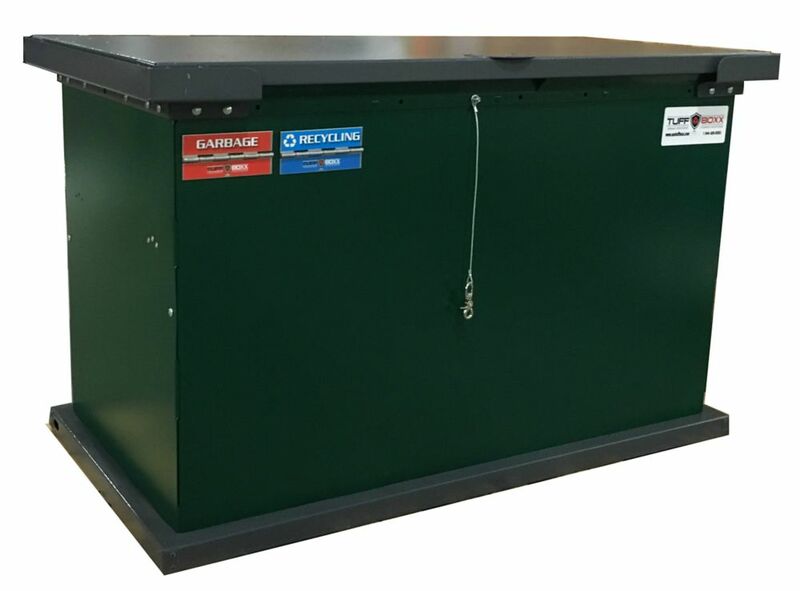 Green Galvanized Metal Animal Resistant Storage Container The GRIZZLY Series Storage Container/Trash Receptacle is easily strong enough to keep out the smaller critters like raccoons, squirrels and rats and will give great results with smaller Black Bears. To meet the requirements of being a Certified Bear Resistant bin you will need to install the included Bear Guard brackets, which prevent bears from being able to grab the lids and potentially bend them. With these brackets the GRIZZLY is able to stand up to all Black and mid-sized (up to 600 lbs.) Grizzly Bears.